Behavioral requirements and community values significantly more restrictive than Roman culture at large – especially in the value of human life (opposing abortion, the exposure of infants, and gladiatorial games) and sexuality (limiting it to marriage in a culture where men were pretty free to sleep with anyone who wasn’t married or a freeborn virgin). The author presents the beliefs and practices of the early Christians fairly neutrally, mostly refraining from evaluating their truth or even elaborating on specific beliefs about Jesus (e.g. he’s pretty coy about the exact relationship between Jesus and God the Father). He generally accepts the books of the New Testament as accurately representative of the dominant early form of Christianity though he does seem to consider many of them to be pseudonymous. 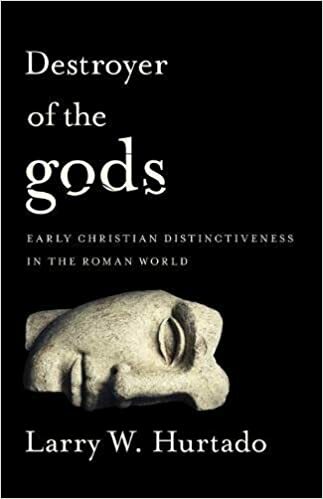 The main text of the book is complemented by copious end notes (over 40% of the page count) in which the author interacts with other scholarly works relating to early Christianity and the culture/religion of the Roman Empire. In these notes he generally argues against positions that seek to radically reinterpret or call into question the reliability of early witnesses. Even though I have some disagreements with the author (e.g. he doesn’t seem to hold as “high” a view as Scripture as I do), I found this to be a profitable and fascinating look at the tension between early Christians and the predominant culture of their day. It has interesting implications for how it has affected the way people in general now think about religion (one of his main points throughout) and for how Christians should be distinctive today (something he doesn’t really explore).